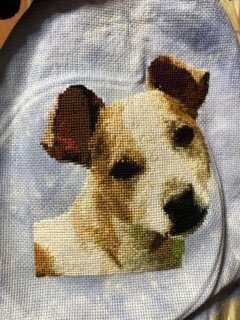 This is Dewey stitched by Robyn Langlie. He was created on November 26, 2018 and February 9th, 2019. 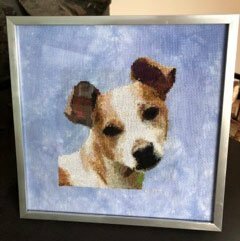 What a beautiful tribute to an equally amazing pet. If you would like a custom chart here is the information form.